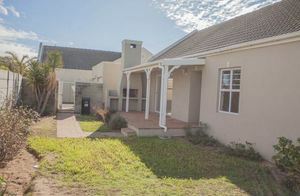 Nice 3 Bedroom House in Sunningdale, Modern, light and airy with a double garage and covered patio with built in braai. Kitchen plumbed for washing machine and dishwasher. Enclosed garden and double garage.